I have always been a fan of Missoni. Even more so of MissoniHome. Although the Missonis have been dressing people since 1958 and homes since 1982 it was not until 2004 when Rosita Missoni officially launched the Missoni Home collection that includes towels, rugs, fabrics, sofas and everything in between. Their designs are simply fearless, colorful, timeless, artistic and chic. I have used many of their products in my design projects and worn their clothes time and again. It is then with great excitement that I'm very much looking forward to a cocktail party and signing for my book hosted by the brand new MissoniHome Hamptons, which is the first MissoniHome boutique to open in the US (before that there were only a few showrooms). The distinctions between fashion, home design and art have become increasingly blurry and unpredictable, and that is one of the reasons why MissoniHome is so relevant and will always be. You can't go wrong incorporating one, two, three or many of their pieces in your home design. Mixing and matching their patterns is all the more fun. 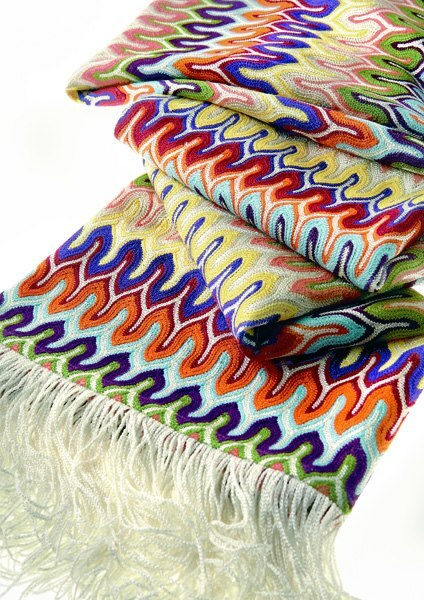 Here are images of my favorite products from the current collections, all available at MissoniHome Hamptons. 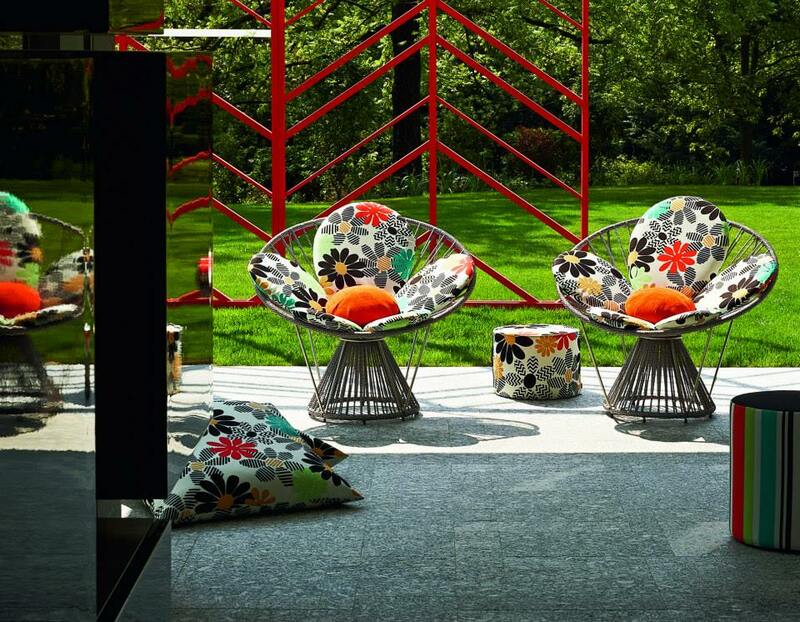 The "Cordula" chairs with Margherite Outdoor fabrics, cushions and poufs.